Location: From the intersection of Hwy 45 and County Hwy K in Conover, continue west on County Hwy K approximately 5 miles to Decker Lake Fire Lane. Turn south on Decker Lake Fire Lane to various parking areas. 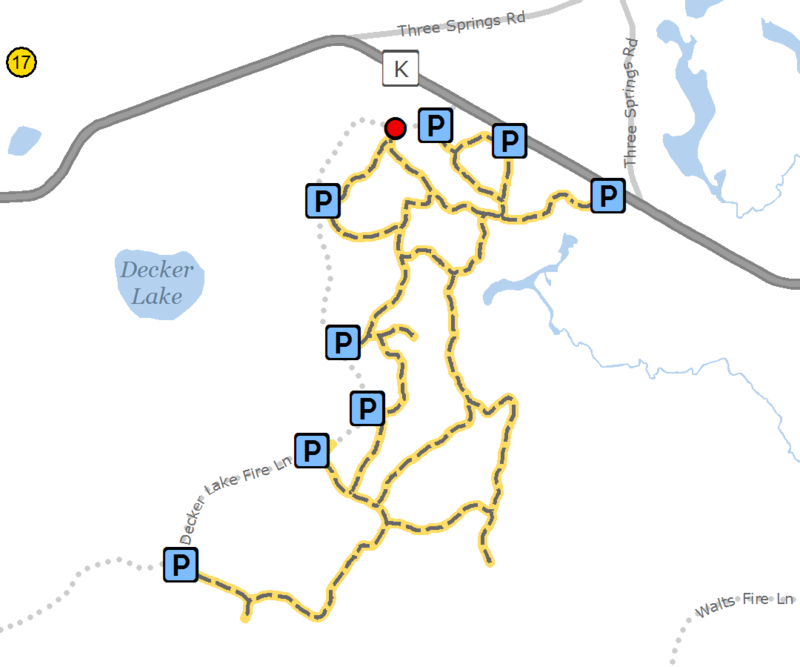 As part of the Vilas County Forest Hunter/Hiking Trail System, the Decker Lake Fire Lane is mowed on a three-year rotation. This trail features rolling terrain and meanders through stands of aspen, oak, and pine. The Decker Fire Lane is not plowed during the winter.